On average Swift Money® approve over 97.5% of all UK same day loan applications. 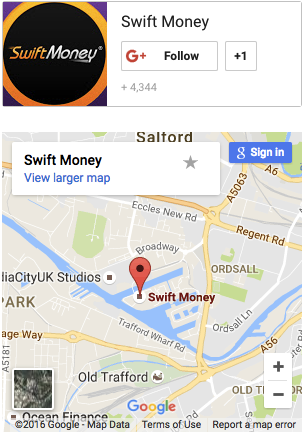 Instant Payday Loans From Swift Money®. With so many different types of loan available now, it can be hard to know which is best for you. Two popular options are personal and payday loans. So, what exactly are these forms of finance - and could they suit your needs? These loans give you the chance to borrow a sum of money (potentially up to £25,000) and make regular repayments over a period of a set number of years. Lenders usually offer terms of one, three and five years. Also known as unsecured loans, the agreements are not secured against assets such as your home. You can use these loans for a variety of purposes. For example, they can help to cover the cost of home improvements, holidays or even new cars. They can also offer a way to consolidate a number of existing debts and potentially bring down your monthly repayment costs. Most lenders will carry out a credit check before they offer you a loan, and the better your credit score, the more likely you are to be accepted. A good score can also give you access to better interest rates. Bad credit personal loans are available, but bear in mind you will be charged more in interest if you enter into these agreements. Because your loan repayments are likely to be fixed monthly sums, these finance agreements can make budgeting easier. Personal loans also give you the chance to borrow more money than you can through payday loans, overdrafts and most credit cards. If you have a poor credit record, these products can be harder to get than alternatives such as payday loans. Also, when you apply for personal loans you might find that you’re tempted to borrow more money than you really need. This is because the interest rates that lenders charge tend to fall as the sum borrowed increases. For example, you may be charged 12% on a loan of £1,000 and 7% on a sum of £8,000. This is something to be aware of when you’re researching your options. As their name suggests, payday loans are short-term agreements that are designed to tide you over until your next payday. You can expect to be given up to a month to repay the money, but some lenders allow you to choose the repayment period. These loans could suit you if you’re looking for money to cover expenses like unexpected bills, rent or mortgage payments, repairs to your car or your grocery shop. They’re not appropriate if you’re after a large sum of money or you want a long repayment period. The agreements can give you access to online loans the same day, so they can be useful if you need money quickly. At Swift Money, we understand that sometimes waiting around for a decision on a loan simply isn’t an option. That’s why we’ve created a simple one-page application. Once you’re approved by one of our lenders, your loan will be deposited into your bank account the same day. Another major benefit of these agreements is the fact that they make it easier to access money if you have a poor credit history. Interest rates tend to be higher for these loans than for other types of agreement. So, if you do not make your repayments on time, you can find your debt increases very quickly. This means you should only ever borrow money in this way if you know you will be able to make the necessary repayments. Whether you opt to get a personal loan, a payday loan or any other type of finance arrangement, make sure you choose a reputable lender that is regulated by the Financial Conduct Authority - and do your research to make sure you find the best possible option for you.